It looks like being another good month for Academy Driver Training. Congratulations to Alex Tankard of York . 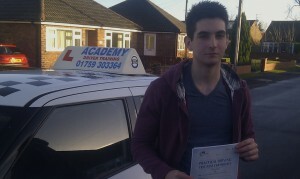 Alex passed his Driving test in York today.